A 60-year-old Oakland man died when his pickup truck struck a utility pole and then rolled over in Smithfield on Tuesday night. An Oakland man died Tuesday when his truck struck a utility pole and then rolled over several times in Smithfield, authorities said. 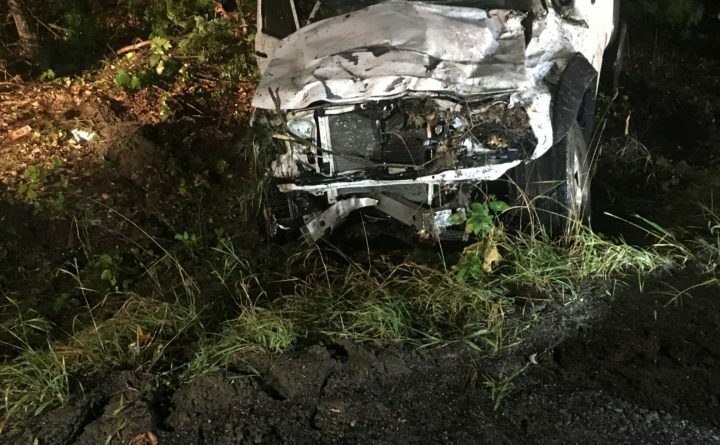 James Vintinner, 60, had been driving his 2010 Toyota Tacoma pickup north on East Pond Road when his truck veered into a utility pole, overturned and rolled several times before coming to a rest on its roof beside the road, according to Chief Deputy James Ross of the Somerset County Sheriff’s Office. The crash occurred sometime around 8 p.m., he said. By the time someone called to report the wreck and a deputy responded, Vintinner had died, Ross said. Authorities aren’t sure what caused Vintinner to drive off the road. He was wearing a seatbelt when he crashed, Ross said. The Smithfield and Oakland fire departments also responded to the scene, Ross said.